Ryan Thompson holds a Ph. D in musicology from the University of Minnesota. 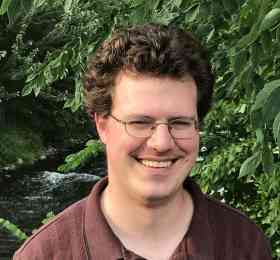 As a scholar, his research focuses on intersections between gameplay and audio – instances in which the music is used as a means to communicate gameplay information to a player. As a musician, he sings in collaboration with other musicians to create remixes of video game music as part of OverClocked ReMix, an organization dedicated to the appreciation and promotion of video game music as an art form. He has presented at meetings of the American Musicological Society, the North American Conference on Video Game Music, and Music and the Moving Image.